The HP PAVILION X2 12-B010NR is a laptop PC which is packed with the processing muscle of Intel Atom x5-Z8500 power efficient quad-core SoC for Windows and Android devices that features 2 MB level 2 cache and runs at the base clock speed of 1.44 GHz with Turbo Boost technology that speed up processing up to 2.24 GHz. It has an integrated graphics controller dubbed HD Graphics (Cherry Trail) which is based on the Intel Gen8 architecture, which supports DirectX 11.2 and capable of rendering high definition movies and playing less demanding games with ease. 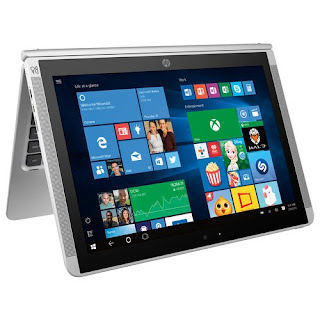 The HP PAVILION X2 12-B010NR laptop PC comes with display features such as 12" touch-screen display offers hands-on control, IPS technology for wide viewing angles and 1920 x 1280 resolution. The resolution in this laptop PC is high so it is expected that the display in this laptop is sharp and clear compared to laptop PCs with lower resolution. It comes in silver finish for stylish look. The HP PAVILION X2 12-B010NR laptop comes with 2 GB system memory for advanced multitasking; 64GB eMMC flash memory; convertible design to easily switch between laptop and tablet applications with a detachable display; full keyboard with 10-key numeric keypad; HP Imagepad with multigesture support; built-in webcam with digital microphone; B&O PLAY dual built-in speakers; media reader for simple photo transfer; and 2-cell lithium-ion polymer battery which will give you several hours of working away from the main source of electricity. 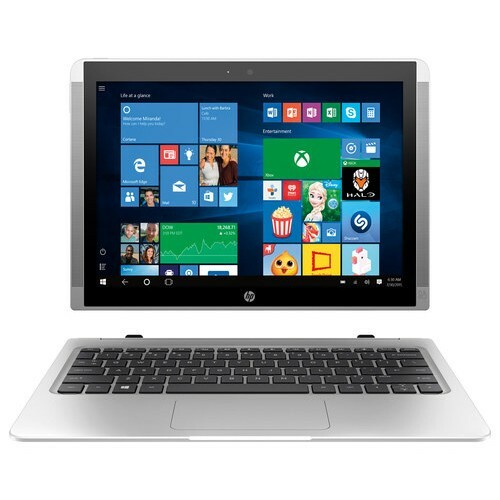 In terms of connectivity, this HP PAVILION X2 12-B010NR laptop PC is equipped with Bluetooth interface syncs with compatible devices; USB Type C 3.1 port maximizes the latest high-speed devices; 1 USB 2.0 port to connect more accessories and peripherals; Next-generation wireless connectivity; and Micro HDMI output expands your viewing options. The HP PAVILION X2 12-B010NR laptop PC is powered by the new Microsoft Windows 10 operating system. The laptop PC measures about 0.75 in x 8.66 in x 11.81 and weighs about 3.24 pounds. You can have this computing device at the price of $ 499.99. 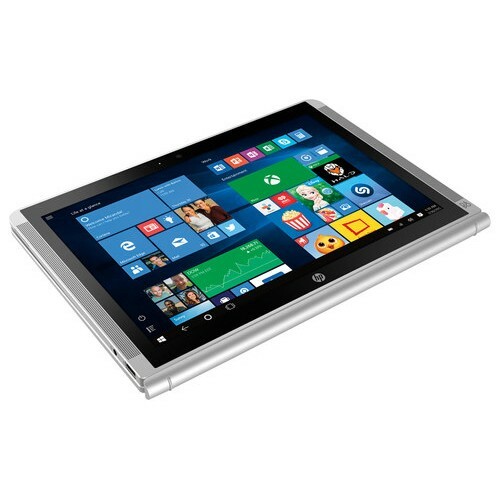 Other devices in this price range include HP 15-ac151dx and Toshiba Satellite C55DTC5245.